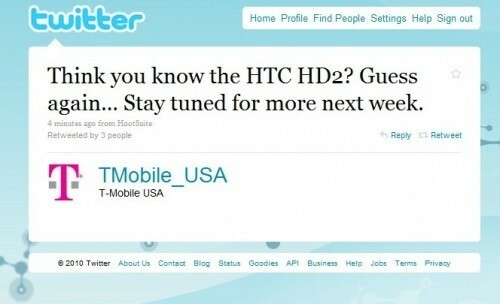 T-Mobile USA just posted a message on its official Twitter account indicating that the company will have “more to say” about the upcoming HTC HD2 smartphone next week. The phone will likely ship in March, loaded with Windows Mobile 6.5.3. What remains to be seen is whether T-Mobile or HTC will promise an upgrade to Windows Mobile 7, which is also launching next week, but we would definitely imagine so.